Just when you thought 2018 has already seen enough of desi celebrity weddings and engagements, that’s when the news hit us. 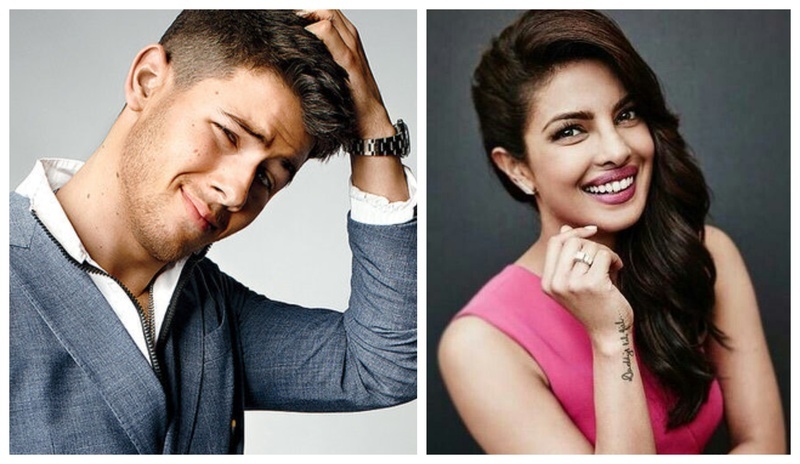 *Baam* The Hollywood heart-throb Nick Jonas and our desi-girl Priyanka Chopra are engaged! That too, just after going public with their relationship for 2 months! Freaking 2 months people!!! Love is clearly in the air, for everyone in Hollywood and Bollywood alike. Hello Justin - Hailey, Sonam - Anand, DeepVeer and Akash - Shloka. The future wife of Joe Jonas and sister-in-law of Priyanka Chopra might definitely get a front table invite. Will the rest of the Stark family will be invited, I’m not sure, but one can certainly hope right? Well, we were disappointed that PeeCee was not the Maid Of Honour at the Royal Wedding, but here’s hoping that Meghan will be at Priyanka’s. Umm, is the Duchess of Sussex allowed to? That I’m not very sure of though. ✌🏼out Hawaii! Had so much fun the last couple days starting our press tour for #jumanji get ready to take on the jungle with @therock @kevinhart4real @jackblack @karengillanofficial and I this Christmas! Nick and The Rock starred in Jumanji and basically spent their time wandering around looking fifty shades of swole together. Plus, The Rock is BBF’s with PeeCee too. And judging from both of their social media, they formed quite the bond in the process. Well well, now that Quantico has been called off, here’s hoping we spot him at the wedding or at least a selfie peeps. Coz, who’ll set the right mood at the wedding. After All, there has to be someone who shows the Jonas family what actually happens at the desi sangeet night! I mean we need some of that Columbian saas at the #NickYanka wedding! I mean the whole world awaits this, not jsut me! #Nickyanaka made their first ever appearance for the Indian Media at the #Ambani engagement, here’s expecting the Ambani clan at PeeCee’s wedding too. The reason being - the Jonas family is based in New Jersey, so that indicates that mean Nick and Priyanka will might get married there itself! Also, not necessarily, but it's not out of the question, people. Because our Desi girl’s entire khandaan is based out of India, and entire Bollywood is based in Mumbai, here’s hoping that the wedding happens here. Also, personally rooting for this option, tbh. Chances are you won't know who made Priyanka's dress until she's walking down the aisle wearing it. But I can bet a major amount on Ralph Lauren for sure. That’s because not only did PeeCee wear Ralph Lauren dresses to the last two Met Galas, also because Ralph Lauren holds a special significance in Priyanka and Nick's relationship. After all, their relationship itself started when both of them dressed in Ralph Lauren together for the 2017 Met Gala and made a red carpet appearance together. So it's only safe to say that they owe their entire relationship to the brand! That's all for now, but rest assured: This list will be updated with #facts as they are divulged.